The world’s first thermal insulated kettle is an electric kettle with the added feature of vacuum walls that keep water hot for up to four hours after first boiling. This makes it super convenient, energy efficient, water saving and time saving. Water stays hot enough for tea for up to two hours, at around 80°C and hot enough for coffee for up to four hours after first boiling, at around 68°C. As well as being stylish and energy efficient, it’s designed for safety and ease of use with non-drip pouring spout, lever controlled anti-spill stopper and a comfortable, secure handle that makes it suitable for use in the busiest of homes and workplaces. 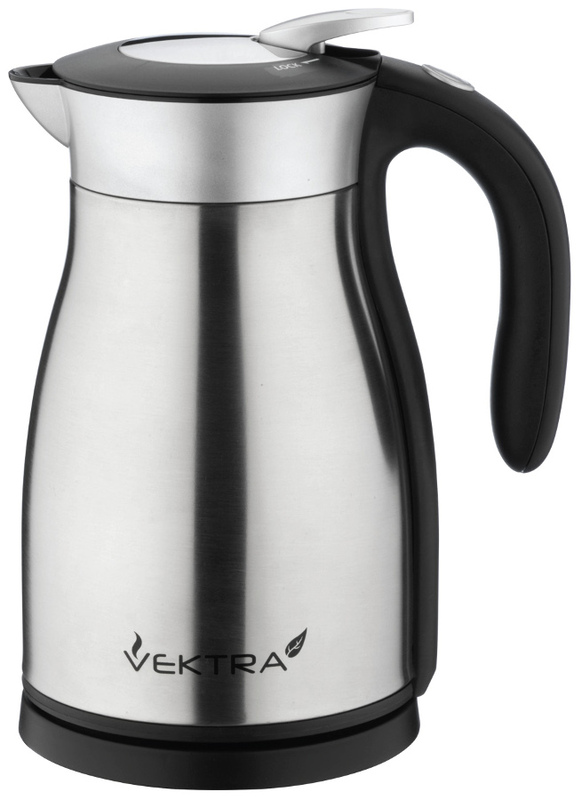 The Vektra Vacuum Eco Kettle - 1 Series - 1.7 Ltr Brushed Stainless Steel product ethics are indicated below. To learn more about these product ethics and to see related products, follow the links below. We also had problems, just over a year old and the kettle won't turn off. Extremely dangerous. The theory is good but technically poor. I bought this kettle about 2 years ago. Within 2 weeks, the on/off switch had stopped working. It took several weeks to get a replacement sent out. Now the lid has broken. I am giving up with this product and going back to a conventional electric kettle. 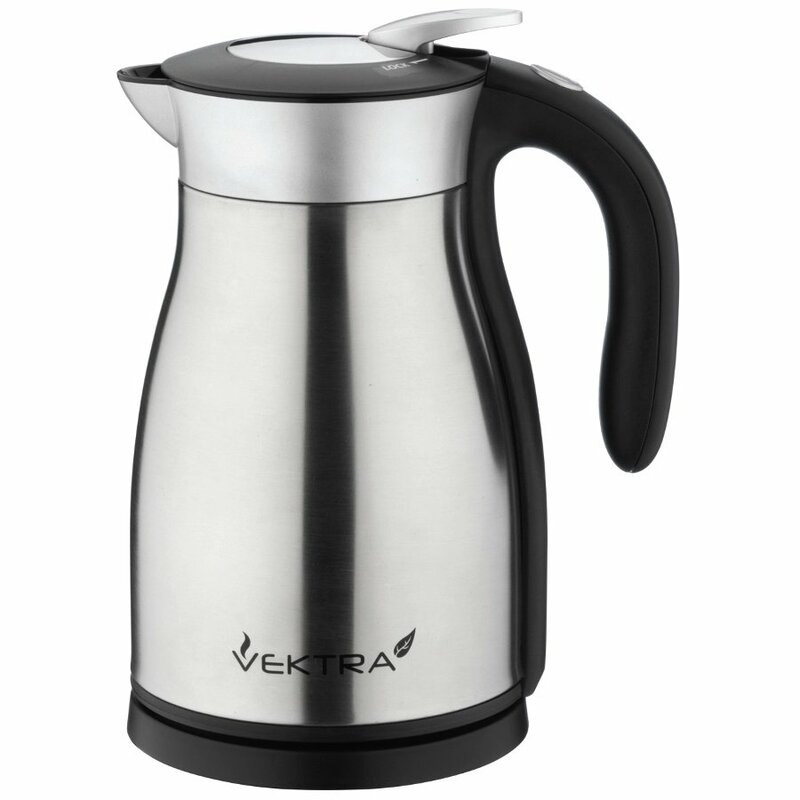 There are currently no questions to display about Vektra Vacuum Eco Kettle - 1 Series - 1.7 Ltr Brushed Stainless Steel.